All human beings have bacteria in and on their body. In fact, research has shown that the human body is composed of more bacteria than cells. A healthy human body is actually swarming with microorganisms inhabiting every nook and cranny on the body. It is in our gut, the gastrointestinal tract, that we can find the largest collection of microorganisms. Show your readers how they can affect their microbiome through diet, physical exercise, sleep, and stress management. Share the articles on your blog, use them in your newsletter, or compile them into a fresh new lead magnet. Then promote the content using the included emails and social media posts. 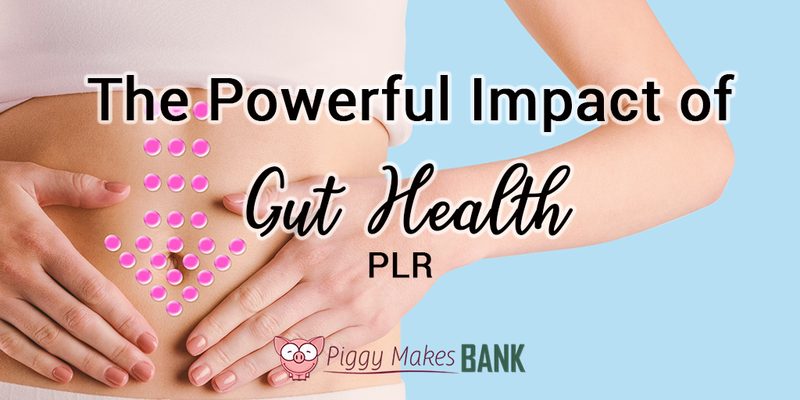 Help your readers learn more about the importance of gut health.